I think I'd put shower gel under beauty things that I really hate buying. Along with razors and toothbrushes, it's one of those things Im just not that fussed on. 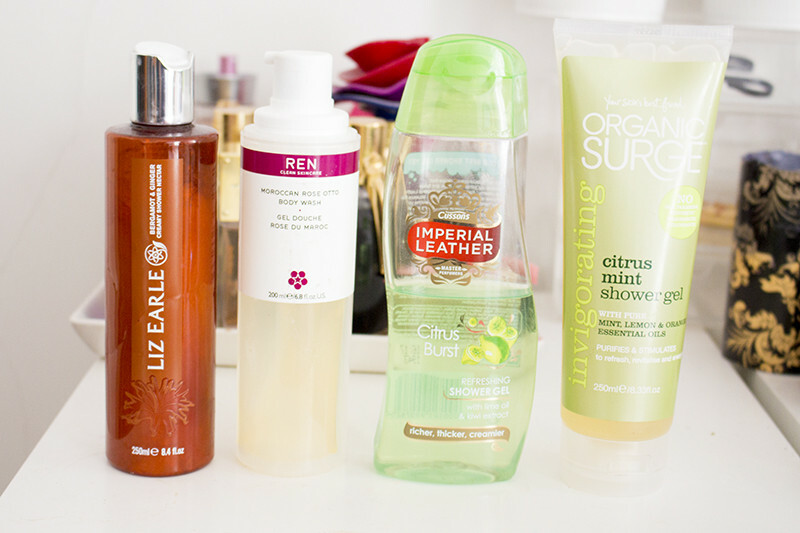 They dont particularly exciteI have a regular rotation of favourites though and today Im talking my picks of the body wash bunch. Organic Surge Citrus Mint Shower Gel is my daily use pick of the bunch. A zingy minty, lemony and orangey gel which really invigorates and refreshes. It feels tingly and energising on those cold winter mornings and really sets me up for the day. Then I like the Liz Earle Bergamot & Ginger Cream Shower Nectar (sounds super fancy). I adore the scent of Bergamot, its warming and comforting while being zingy and fresh at the same time. Super rich and creamy and feels sooooo sothing. It leaves my skin feeling silky smooth with a lingering scent. While Im not a huge rose scent fan I do really like the Morrocan Rose Otto Body Wash from REN. It feels really calming and soothing, delicate without being overpowering. Overall it just feels luxurious without being too much.A more budget friendly pick would be the Imperial Leather Citrus Burst. Can you tell I like citrus body washes? This is a great cheap drugstore buy that really wakes me up in the morning and makes me feel fresh. What is your favourite shower gel?